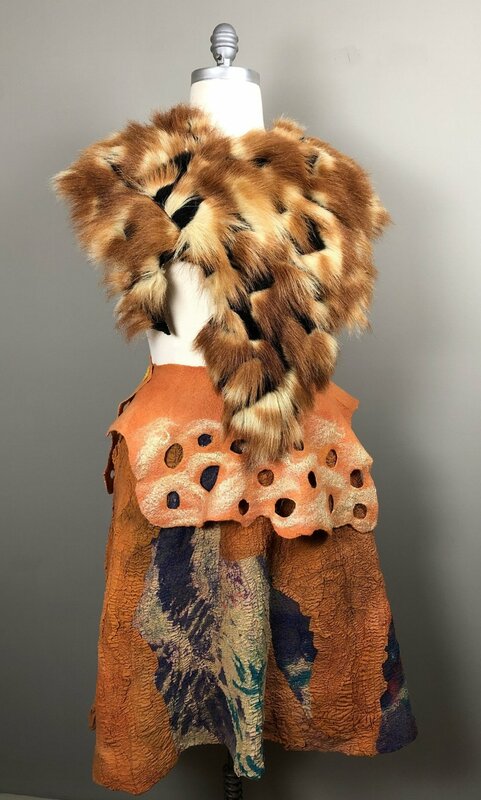 Hand painted silk and wool felted skirt with felt waist band and fake fur wrap. Stargaze: Hand dyed wool and silk top and skirt. 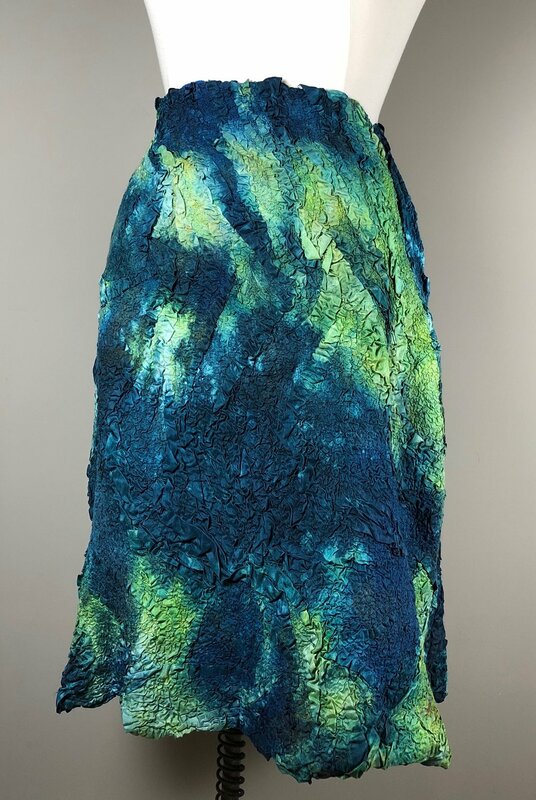 Caribbean: Hand dyed wool and silk skirt.